We love hiking at The Vacation Hunt, and always on the lookout for a good hike for our personal vacations. Today, we want to share 5 of our bucket list hiking vacations! We've done some these as day hikers, and would love to plan you a vacation to conquer one yourself. Each of these trek ideas can easily be included with other area attractions to give your vacation the perfect mix of outdoor adventure, relaxation, and cultural experiences. If you're interested in starting a trip with us, fill out our vacation survey! Located in Torres del Paine National Park in southern Chile, the "W" is a beautiful and challenging 4-5 day hike through the mountains of the Paine Massif. Hikers doing the full trail will climb to the base of the Towers, into the beautiful French Valley, and hike along the Grey Glacier. Along the way, hikers can choose to camp out of their backpacks or can stay in the rustic "Refugios" offering beds and meals for the weary. Day hikers can tackle the W in pieces, with manageable trails to see the Towers, French Valley, and Grey Glacier viewpoints. Machu Picchu rightly belongs on nearly every travelers bucket list, and the Inca Trail is the most adventurous way to get there! It takes 4-5 days to hike the 26 miles through the mountains, cloud forests and jungles along the ancient paths, but the mountain views and Incan ruins along the way are amazing and the destination at the end is stunning Machu Picchu! Famed for it's starring role in the movie Jurassic Park, the northwest Na Pali coast of Kauai in the Hawaiian Islands is home to the Kalalau trail. Stunningly beautiful, the 11 mile trail to the Kalalau valley offers wonderful views of the rugged coastline. The valley at the end provides a rustic but friendly camping experience where you can still find remnants of the original Hawaiian settlement in the jungle. Day hikers can trek part of the trail to Hanakapi'ai falls and back for a full day of gorgeous scenery without having to rough it overnight. A classic American hike, the Appalachian trail offers easily accessible hiking for the outdoor adventurer. Since the entire Appalachian trail is over 2000 miles long, even a portion of the trail can fill an entire vacation! The best scenery on the trail is definitely when autumn turns the mountains into a painter's canvas of reds, yellows, and oranges. 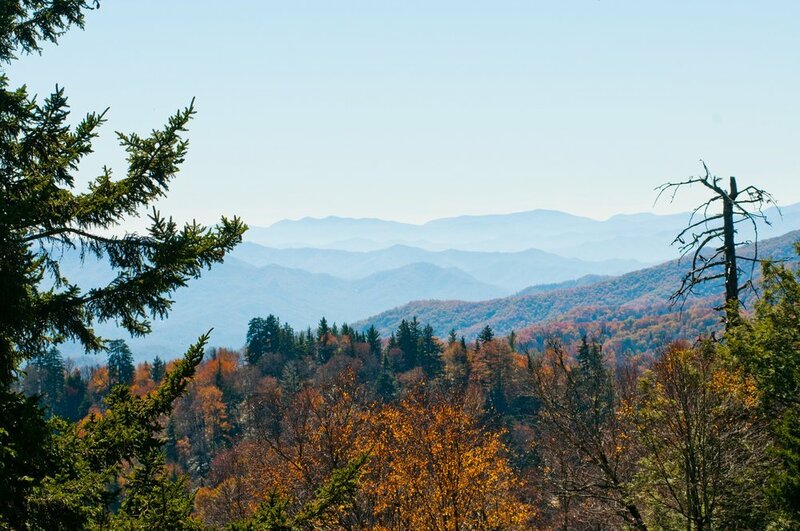 Close to home for TVH, Shenandoah and Great Smoky Mountains National Parks both make for great starting points for a Mid-Atlantic Appalachian Adventure! In northwestern Italy, a collection of 5 picturesque villages are linked by a steep trail through farms and vineyards, with views of the coast, Cinque Terre. You could do this hike in a long day, but the best way to experience this trail is to take 2-3 days to explore each village before continuing onward to the next one! We would love to plan a hiking-themed vacation (surprise or not) for you. Fill out our trip survey to get started!